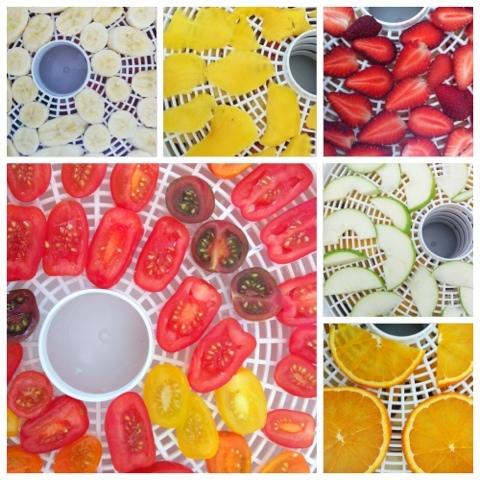 Thought I'd make some healthy snacks, so I dragged out the dehydrator. Bananas, mango, strawberries, apples, oranges and a whole assortment of tomatoes. Now to wait 8 hours.